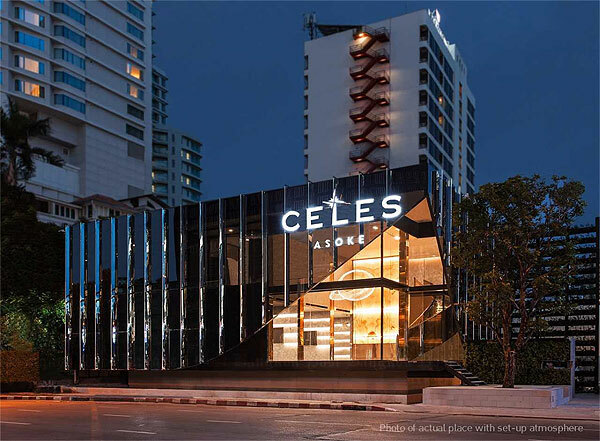 CELES Asoke condominium has brought the luxury condominium market in Bangkok back to life. 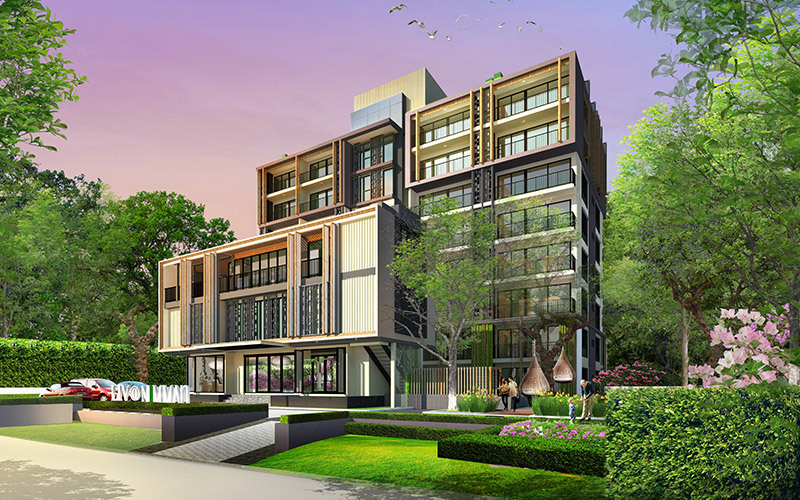 After only one day of presale on Saturday, September 16, the project was 80% sold and had raked in 2.8 billion baht. 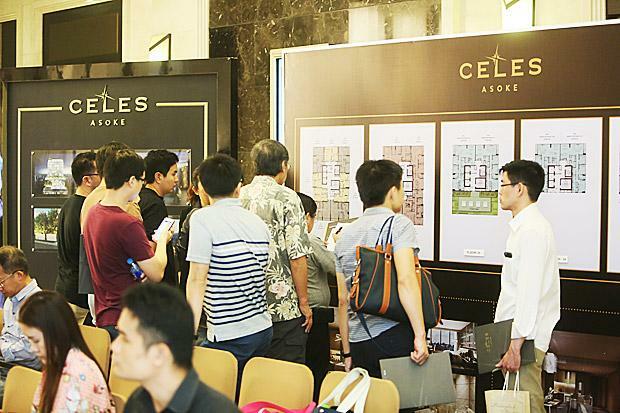 Now sole agent CBRE had to make special arrangements for the sale, held across the road from the site at Terminal 21 as some customers started lining up to get their hands on the units on Friday night. Lots more arrived on Saturday. Initially, the plan was to sell only a half of the total units but seeing the demand, that was changed to offer all 217 units at once. Among those who purchased the units on the presale day, 87% were Thai and 13% foreign. Most of the foreign buyers were from China, Hong Kong, Singapore and Japan. Over 70% indicated a long-term or short-term investment purpose. The most popular units at CELES Asoke are one-bedroom and two-bedroom. These attracted a lot of investors. Meanwhile, the five two-bedroom and three-bedroom Duplex units also sold out on the day. But that still leaves a lot of demand. 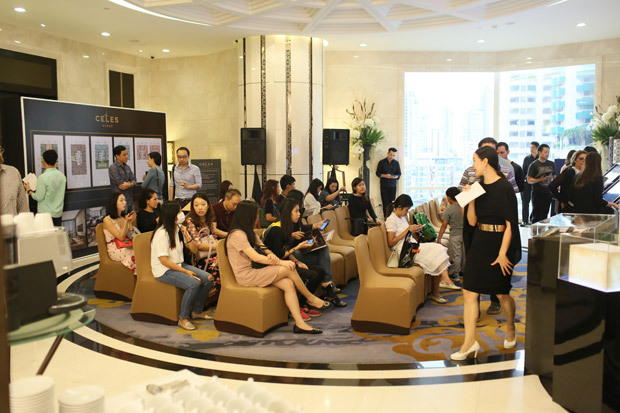 So CBRE and Lucky Living Properties Company Limited, the developer of CELES Asoke, have responded by offering more one-bedroom and two-bedroom units at the upcoming “CELES Asoke Show Suite Debut” on September 30 and October 1 at The Celestial Gallery, Asoke Montri Road. Customers can visit the showroom to see the luxurious offerings and enjoy special privileges, including a full set of high-end furniture – a last gasp opportunity not to be missed! Register at www.celesasoke.com or call 02 259 4444.